Non-Profit Website Design Guided by strategic thinking and vision. Focused on empowering your organisation to manage your online presence. What makes great non-profit website design? Signing up for your newsletter is an automated process. There are options for the amount and frequency. The website follows web accessibility practices. You communicate your story well. The design reflects your mission and vision. The images used resonate with your target audiences. Are there practical suggestions for volunteer involvement? A good calendar where you can see coming events and also sync with ical. Is it easy for someone to keep it updated? Is there an RSS feed to send out new events automatically in the newsletter? WordPress as a content management system on my websites and this means I am using a platform that many people are already familiar with, making it as easy as possible for volunteers without a great deal of technical ability, to write and publish content. 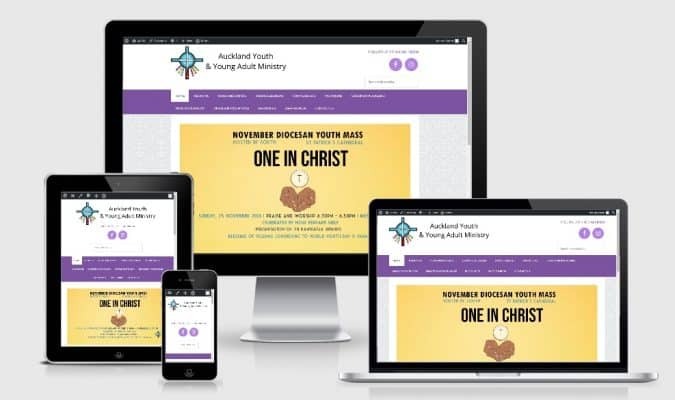 The Diocese of Auckland has dedicated staff members and volunteers who update and manage their large number of websites for their local parishes, charities, national Catholic news and the main Auckland Catholic website. The Diocese initially approached me for some advanced WordPress one-on-one training for their Website Administrator. A few issues presented themselves in the course of the training, which if left, would increasingly cause significant difficulties for a large number of their sites. I was able to provide consultancy services so that the Diocese was able to make informed decisions regarding the way forward. Kitchen Table Web Design also provided and continues to provide web design support services so that the Diocese is able to implement its plan to provide secure, stable, attractive websites for the parishes and ministries under its care. 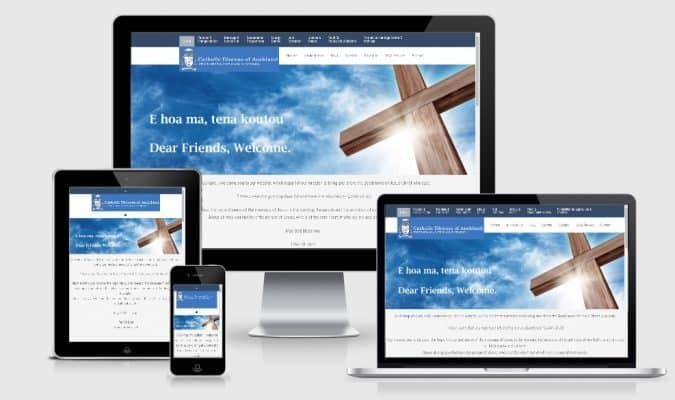 We also worked with the Website Administrator to re-design the main Auckland Catholic website as well as some other charities under their umbrella. When I started looking for trainers on WordPress it was a very difficult task until I met with Tarnya. She was knowledgeable, professional and so easy to work with. I immediately felt very relaxed after meeting with her and new that the huge task in front of me was going to be a lot easier with her help and support. She created great training videos, replied to my emails and phone calls really quickly, worked with our IT guys and myself in a professional manner. This has been 2-year partnership that has produced 60 new websites and there are more to come, so having Tarnya working with me makes my job a lot less stressful. Thank you Tarnya for all that you have done throughout this process. The non-profit community is full of amazing people who are committed to making the world a better place, and that is one of the reasons I love working with non-profits. 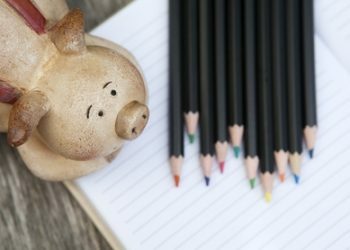 Even if you are small non-profit, investing in your website to get professional services can be a strategic use of your resources. 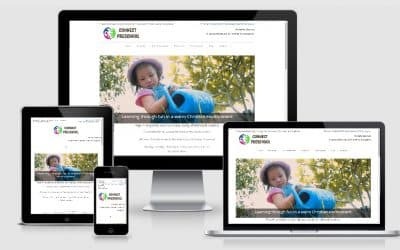 Investing in Quality Non-Profit Web Design services can make a huge difference by multiplying the effectiveness of your staff and volunteers. Enabling you to connect with your supporters in more meaningful ways. 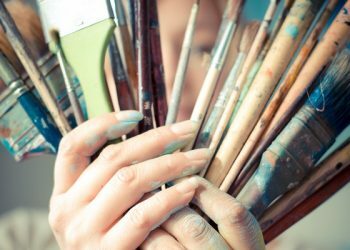 You can read my article Tips for Non-Proft website redesign to help clarify what your organisation needs. It provides a place to communicate and promote the passion and purpose of your non-profit to the wider world. Engage with your committed supporters through your latest news stories of changed lives. And for those people who are interested, a website provides a low-cost way to keep communicating with them, so they can learn more and perhaps catch the vision. It can provide a way to give or volunteer. It can also be a vehicle to create community. I can train and support your volunteers and staff to update and manage your website. Kitchen Table Web Design offers discounts on our website care plans to ensure your website is backed up daily monitored and maintained. I am also able to offer consultant services in email marketing, social media, Facebook and other aspects of managing your online presence. Non-profit web design focuses on making websites that are user-friendly, easy to navigate, optimised for search engines and look great! I have been involved with non-profits all my working life both as a volunteer and a paid worker. Community building is important to me. Have a look at my nonprofit website portfolio. 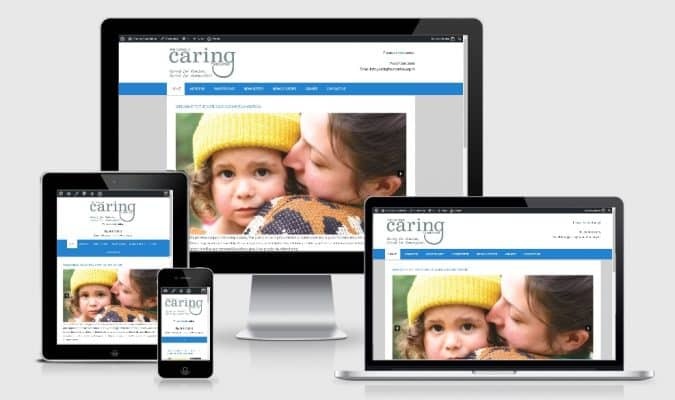 Special: Non-profits will receive 3 months of the essential website care plan with a new website project. Browse my Portfolio of Non-Profit websites. 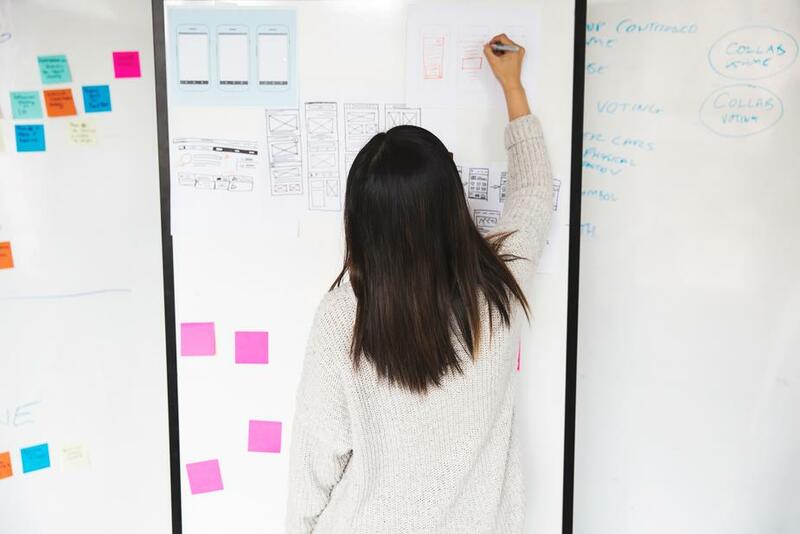 A basic checklist to help you plan your next website project.